Find your unique brand of happiness while discovering the cosmopolitan spirit of Kiev, exploring storied Lviv, soaking in a stunning panorama in the Carpathian Mountains, or strolling the colorful streets of seaside Odessa. Despite being the sixth most populated country in Europe, Ukraine remains a mystery to many travelers. This journey will bring you to Ukraine's most enchanting treasures, from vibrant cities to breathtaking natural beauty. Experience the mysteries of Ukraine on this unique 11-day adventure. 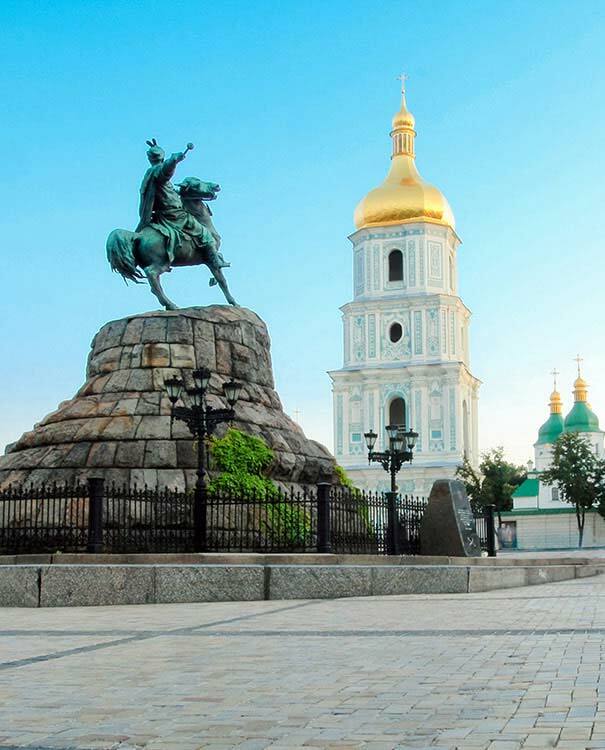 • Fall in love with storied Kiev, where you’ll gaze upon UNESCO World Heritage Sites, peruse charming shops and dine in cozy bistros. • Experience a once-in-a-lifetime visit to historic Chernobyl and Pripyat. • Discover Lviv’s lively café culture, legendary beer scene, colorful artisan fairs, underground caves, and epic nightlife. • Venture below the earth’s surface at Optymistychna, one of the world’s longest caves. • Take a train trip into central Ukraine and enjoy the hiking and panoramic views in the Carpathian Mountains. • Carpathian Mountain adventures include hiking the Chornohora massive and rappelling down the Manyavskyj waterfall. • Enjoy the sea breeze, charming architecture, local spirits, and dance parties on the beach in scenic Odessa. Lose yourself. Find yourself. Discover yourself. At Project Kaif, our travel and lifestyle experts design a fully customized itinerary for you, curating experiences and adventures that best fit your personality and interests. The itinerary below was created for an existing client and is an example of what an adventure-filled travel experience could look like. "To a Ukrainian, a thousand years ago is like yesterday." Welcome to Kiev! Upon arrival at the airport, your guide will meet you and ensure a smooth transfer to your 5-star hotel. After freshening up, hit the streets of this breathtaking, bustling city and embark on a three-hour walking tour. As you get to know the “Hero City” – a title Kiev earned after its heroic defense in WWII – its thousand-year-old history will be brought to life before your eyes. Visit a number of UNESCO World Heritage Sites, including the whimsical 11th century Saint-Sophia Cathedral and the majestic Orthodox St. Michael’s Cathedral. End the day with a moonlit boat ride on the Dnipro River. Today we venture to modern day Pripyat and Chernobyl, entering into their highly secured 30 km and 10 km exclusion zones, which are impossible to visit without a guide. Three decades of abandonment later, this expansive territory has become a sort of open-air museum, where the old homes and buildings have been swallowed up by new forest growth. Bear witness to the uninhibited streets and houses, Reactor #4, Red Forest, and Soviet and Ukrainian monuments. A travel experiences like no other, a visit to Chernobyl will stir many emotions and leave a lasting impression. Welcome to Ukraine’s most hopeful city, famous for its beer, coffee and chocolate! 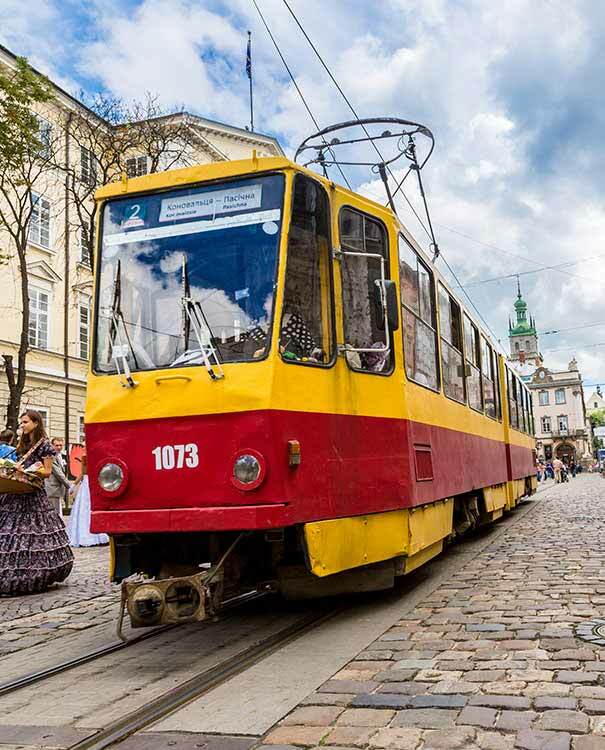 Travel to Lviv by plane or high-speed train, and check into your hotel before lunchtime. After checking in, it’s time for your first evening out on the town. Experience Lviv’s legendary beer culture firsthand with a visit to the Lviv Beer Museum, then soak in the breathtaking vistas at High Castle Park. Pay homage to Lviv’s storied history at The Italian Courtyard, a striking Renaissance-era palace that dates back to 1580, and the fortified Bernardine Monastery. End the day with a stroll down scenic Virmenska Street and dinner in one of Lviv’s liveliest neighborhoods. Delve into one of Lviv’s most enchanting and unforgettable realms: the underground caves. Ukrainian for “optimistic,” Optymistychna is one of the world’s longest caves at almost 75 miles long. This cave famously sheltered Jewish refugees during WWII, and today travelers are invited to venture below the earth’s surface to explore the underground world. Spend the afternoon strolling through Lviv’s famous artisan fairs, where you can find locally-made wood carvings, textiles, paintings, and other crafts. Wind down the day with a celebratory evening of wining, dining, and dancing at Lviv’s chicest nightclubs. All aboard! The trains in Europe are in a league of their own; take in the sweeping landscape views while you sip your morning coffee as we make our way into central Ukraine. During the trip, you’ll learn about the history and culture of the highlands region. Stop by the village of Verhovyna to taste the wonderful local Hutsulian food, ride in an old Soviet truck, and explore Manor Decemberists. This historic sanctuary housed secret Decemberist meetings – a revolutionary society dedicated to overthrowing autocracy, named for the unsuccessful December revolt in St. Petersburg in 1825. 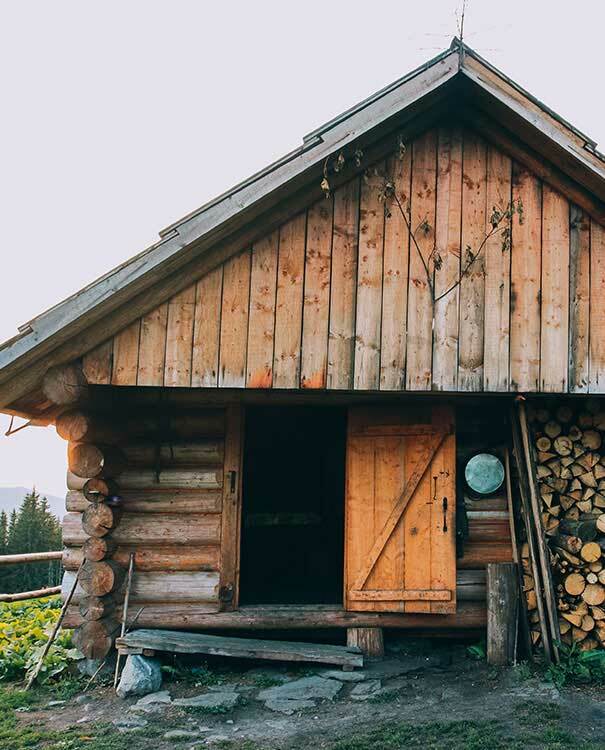 Spend the afternoon enjoying the singular beauty of the Carpathian Mountains, then settle into a traditional “kolybas” (wooden shepherd hut) at a meadow farm. Dine by the fire, and enjoy the restful atmosphere. We begin at an elevation of 1250m and experience a change in elevation of close to 800m on this scenic hike. A variety of experiences and vistas await you, from the banks of the Bystren’ River to the fabled Black Mountain. Pass Alpine meadows, mountain lakes, and cool woodlands as you climb three of the Carpathian’s highest peaks. Along the way, you’ll learn about the history and legends of this storied region. In the evening, fall asleep to the sound of the lapping water beside beautiful Brebeneskul Lake. Witness the iconic scenery of the Chornohora Massive, including Nesamovyte Lake. A relic of the Ice Age, this lake is known for its thick cloud coverage, which has earned it numerous legends filled with cosmology and transcendence. Continue your journey towards the summit of Mount Hoverla, Ukraine’s highest mountain. Here, an old granite borderline that once separated two nations serves as the perfect marker for hikers on foggy days. 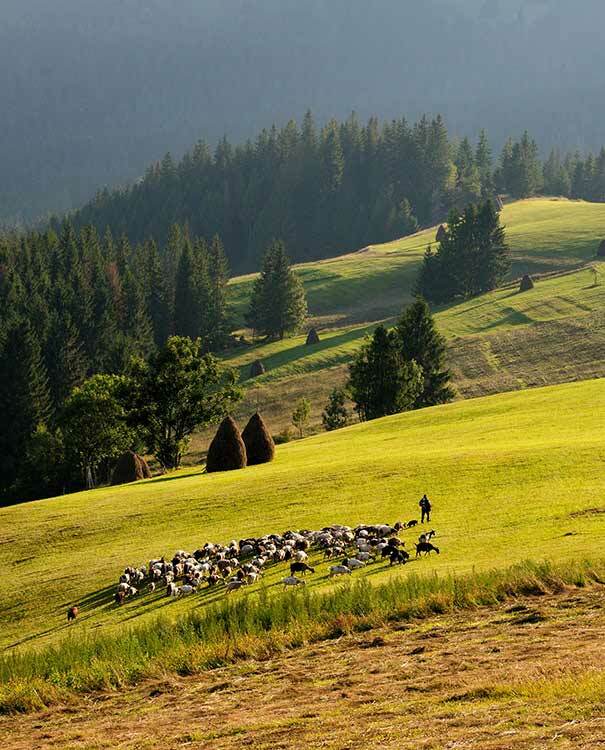 Enjoy some of the region’s most jaw-dropping panoramas before settling down in a cozy wooden house in the Carpathian Biosphere Reserve. Nicknamed the “Pearl of the Carpathians,” this reserve is known for its “necklace” of jagged mountains and turquoise lakes. Start the day with a visit to Yaremche souvenir market, a kitschy yet enjoyable spot where you can shop for everything from hand embroidered tablecloths, vests and dresses to jewelry and carved wooden bowls. Travel through the Kakaradza Pass towards Manyava village and Manyavsky waterfall. Before rappelling, enjoy lunch nestled between the scenic mountains and a beautiful orthodox monastery. Then, get ready for the adventure of your life as you rappel down the massive Maynyavsky waterfall. Upon returning to Lviv, celebrate the wild adventures of the day with drinks at a beer party in the city center. Set your own pace today on this free day to explore Lviv. This is a day for you to relax and recover after strenuous hiking in the mountains. Visit the opera house, attend a musical festival or silent disco, enjoy the local art scene and café culture, or embark on a cycling tour of the city. Choose your own adventure! Later in the evening, set out on a nighttime walking tour of Lviv focusing on the city’s many legends. Learn about the great fire that burned down most of the city in 1527, and the subsequent tales that the local people created to preserve the city’s history (some of them involving a lion and a dragon). As you discover Lviv’s unique past, its stories will feed your imagination and your soul. The seaside city of Odessa beckons with all of its wonders and history…and perhaps even finds you at one of the never-ending dance parties on the beach! After journeying to Odessa by plane or train, you’ll instantly fall head-over-heels for this unique coastal city. Cobblestone streets, tree-lined boulevards, ocean views and colorful architecture provide a picturesque backdrop. From the famous Potemkin Steps to little-known hidden gems, we’ll uncover all of Odessa’s most scenic sights. In the afternoon, it’s time to hit the beach! Lounge under an umbrella with a strong drink or hop on a Jet Ski or stand-up paddleboard – today, you’re free to be as adventurous or relaxed as you like. End the day with fresh, locally-caught seafood on the shores of the Black Sea, with flavors and sights you’re sure to remember for a lifetime. If you’re up for it, top off the evening with nighttime dancing on the beach before bed! Rise and shine to pay a visit to Odessa’s famous catacombs, which serve as a window into the city’s ancient past. Then, trade the dungeons for wine cellars with a trip to some of Odessa’s best wineries, which have been growing grapes since the 12th century. Taste locally made wines and cognacs, and toast to a fabulous journey through Ukraine! You'll enjoy a bit of free time on your last day before heading off to the airport and beginning your journey home. We’ve also accounted for much needed rest and relaxation time, so you can process and reflect on all of the amazing sights and activities you’ll experience on your Ukraine adventure.